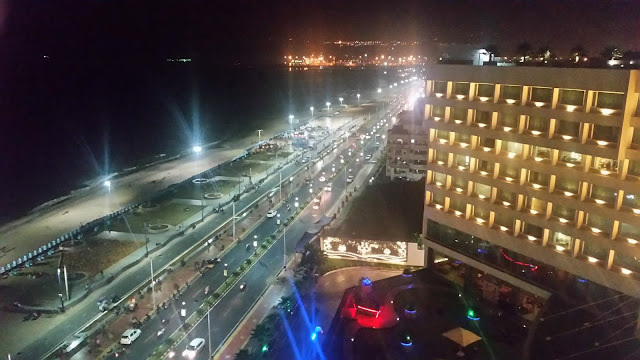 Tucked in a by lane of Jubilee Hills, the club is in the same building as Ministry of Beer. In fact, the owners here are also partners at MOB. 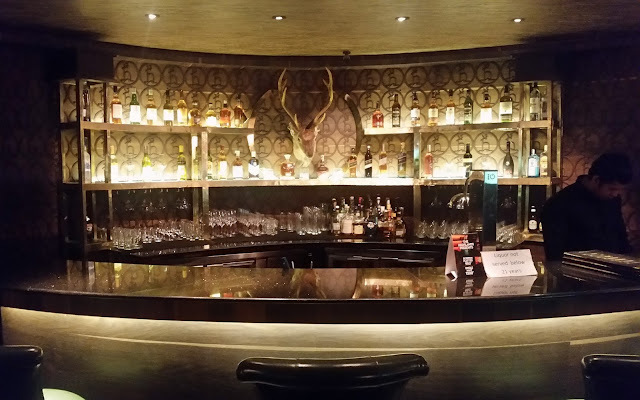 As you enter the premises, you are impressed by the rich décor of wood panelling and thick and comfortable leather upholstery and a well-stocked bar. 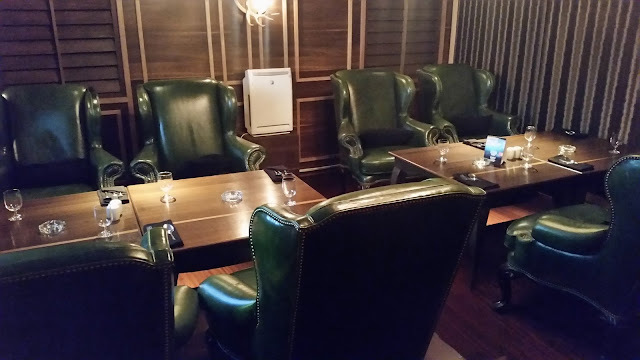 There is separate seating for smokers where you can enjoy your drinks with the exclusive cigars available. 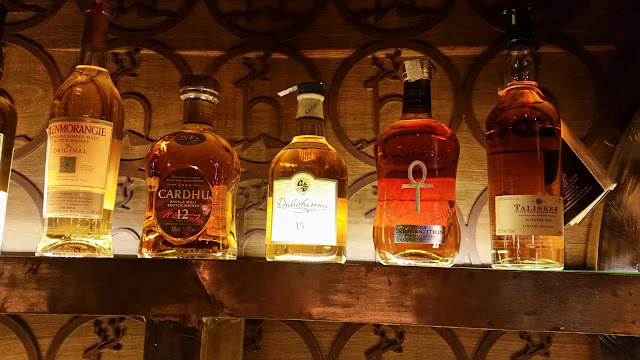 The Highlands Whisky Club is named after Scottish Highlands, the region in Scotland which is known for its large number of distilleries dishing out the signature brands of single malts and blended scotch well-known all over the world. The bar and restaurant has an air of exclusivity and welcomes people with finer tastes. Available with the global brands of whiskies is a menu of international cuisine to pair with. Invited for a tasting session of pairing food with whisky, a few of us had a look at the richly stocked bar. 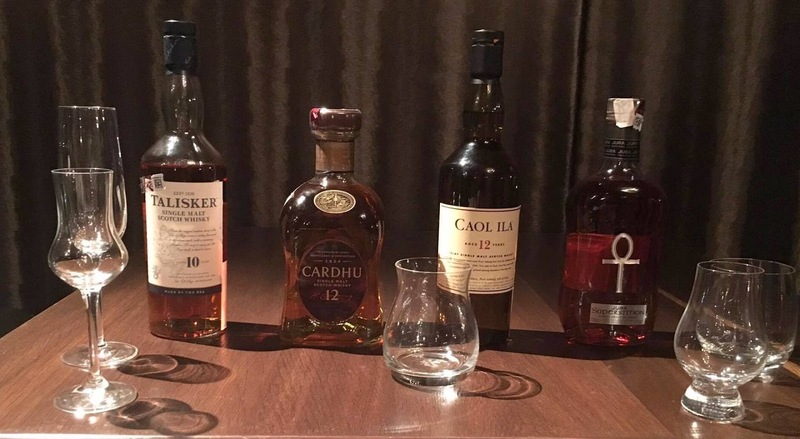 It had close to fifty different labels, starting from Laphroaig, Dalwhinnie, Cardhu and Talisker, to the popular single malts like Glenfiddich and Glenlivet as well as blended scotch brands JW Double Black and Blue Label. 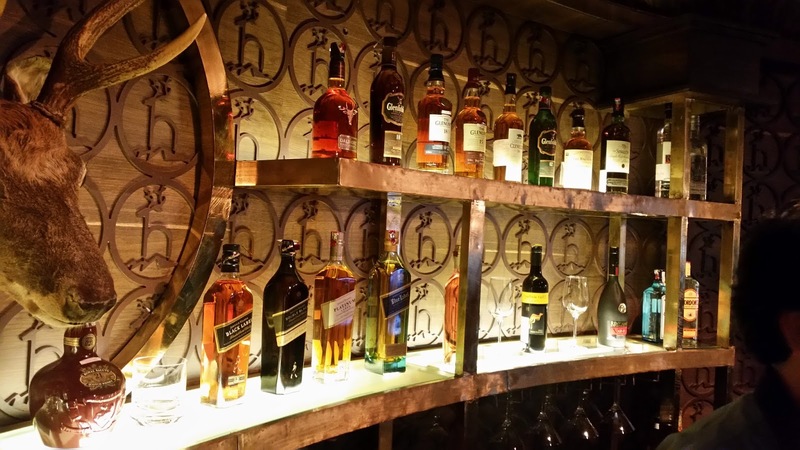 In case your partner or friend is not a whisky drinker, select wines and other alcohols were also available. 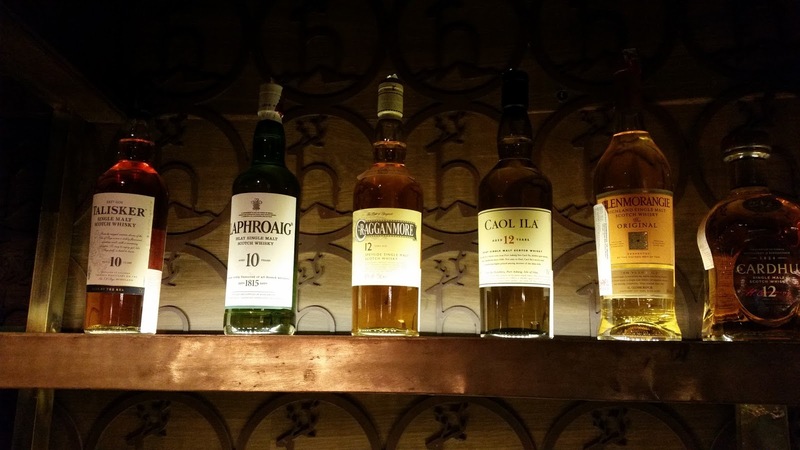 The bar has perhaps the most exceptional collection of whisky in the twin cities. As we settled down in the non-smoking area, we were asked about our choice of single malts, and I decided to start with Talisker 10 years. 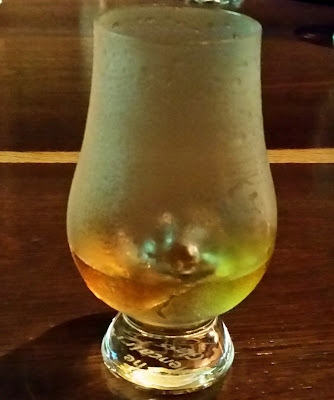 The whisky from the Island area was served in frosted glasses, and we were told that all their glasses are imported from Belgium. To pair with the drink, there was an assortment of short eats. 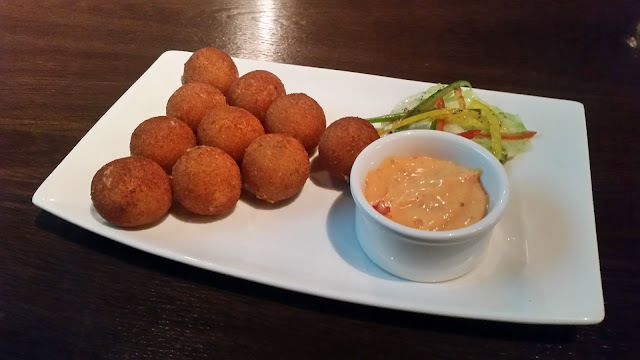 Jalapeno Cheese Poppers were served with chilly mayo and veggies. Soft and melt in the mouth, the cheesy starter was a perfect foil with the whisky. 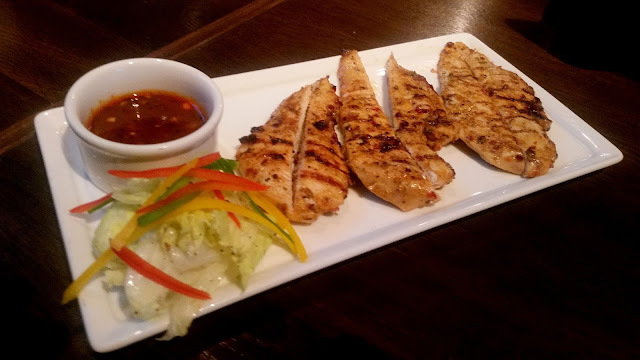 Grilled Chicken Strips were another of my favourites. 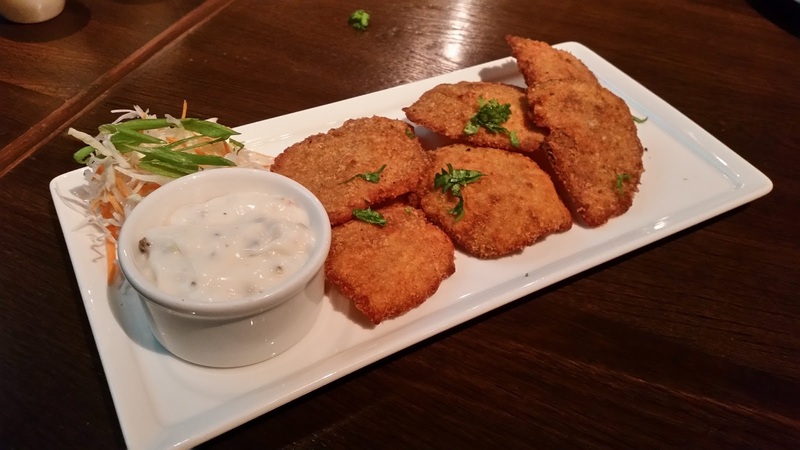 The herb marinated chicken pieces were soft and succulent and I especially loved the brownish dip served with it. The crumb fried Crunchy Chicken served with Tartar Sauce was thinner than usual, a little bit of more meat would have enhanced the taste. At this point, the next drink was served. 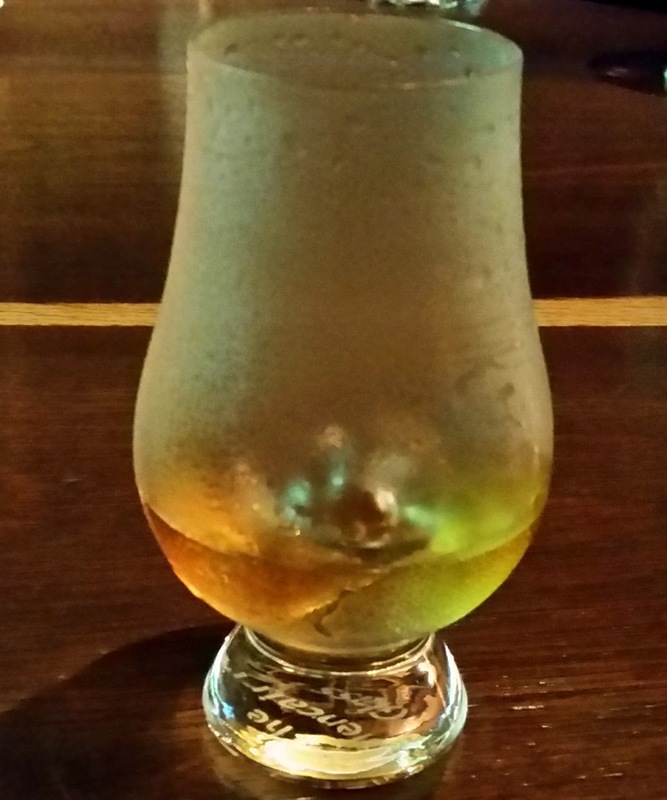 This was Cardhu 12 years from a Speyside distillery of the same name. 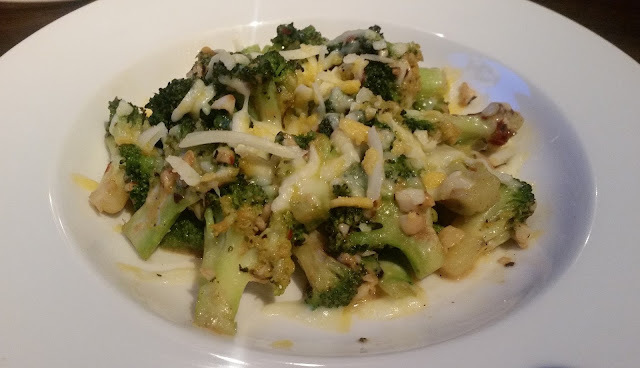 Along with this came some Gratinated Broccoli, a cheesy dish well suited as an accompaniment. Cilantro Fish is a must have at The Highlands. 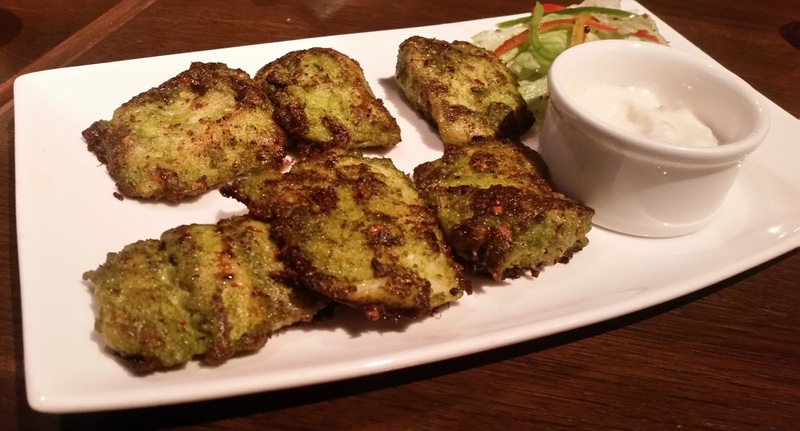 The grilled fish fillets had soaked in the green marinade and tasted very nice. Dragon Prawns was another seafood dish served, which may be a choice for lovers of Asian preparations. It was time for the main courses. Mr Chalapathi, one of the partners suggested Caol Ila 12 years for the pairing here. 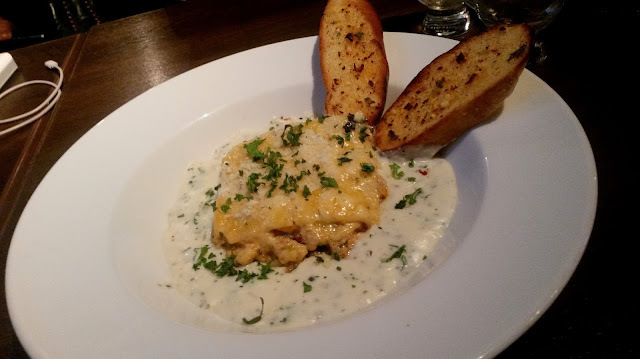 The food paired with it was Chicken Lasagna served with garlic bread, and this was simply brilliant. Grilled Rosemary Lamb Chops was an impressive dish from the mains. 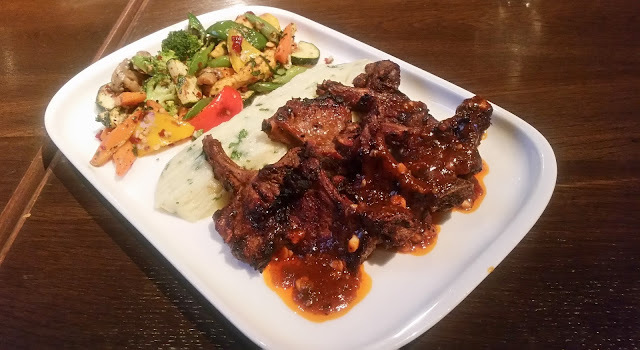 The herbed lamb chops in red wine jus were served with mashed potatoes and assorted vegetables. The meat had been cooked just the right amount and the sauce was a complete winner. The Highlands also serves pizzas and pastas. The BBQ Chicken Pizza was oval shaped and thin crust. I dug into it without much expectation, but was surprised to find it extremely delicious. We also tried an oriental dish, Chef’s Signature Fried Rice. 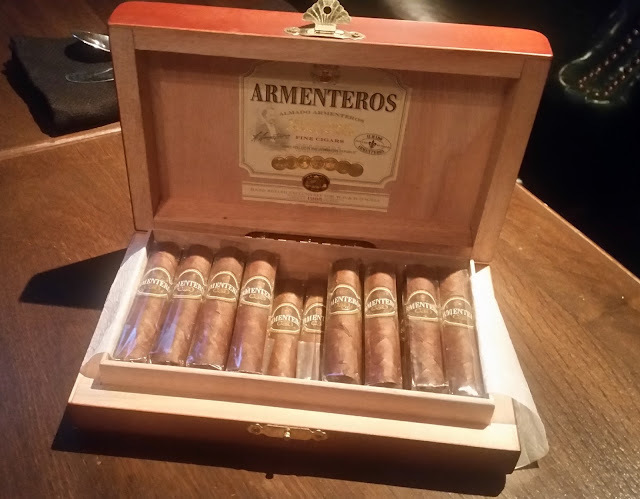 At this point, a couple of my friends shifted to the smoking area enjoying some Armenteros Cigars with their drinks. The dessert Platter of Blueberry Cheesecake and Chocolate Lava Cake were a fitting finale to an interesting session. The Highlands has special offers from time to time. An exciting offer which is currently on is the Scotch Platter (Rs 950 plus taxes) and Single Malt Platter (Rs 1200 plus taxes). In this offer, you can order 3 pegs of your favourite Scotch and Single Malt whisky respectively from a list of five different brands. On Saturday and Sunday, they have a High Lunch combo at Rs 699 (plus taxes) serving one drink, an appetizer and a main course. This is an excellent place for the whisky aficionados with the huge choice of signature brands. 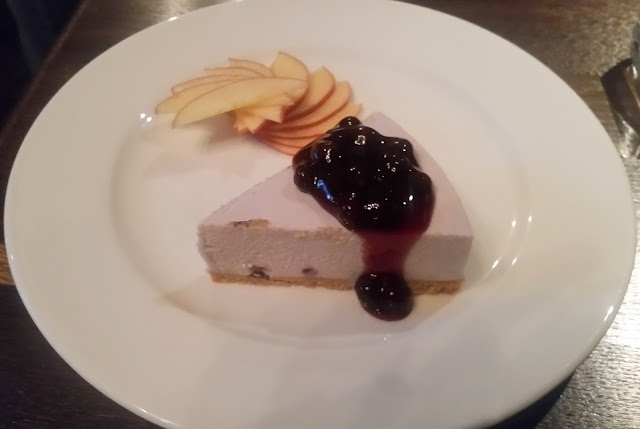 The drinks and food here are not that expensive either, competing favourably with the gastro pubs in the city. The food here lives up to the promise. Try it for a relaxed discussion with your connoisseur friend or to entertain your business partner or clients.